Welcome to my Basement Arcade. The best, one-stop-shopping, for the classic arcade game collector. Set your bookmark here as this page will offer the latest links to other collectors, as well as dedicated pages, parts, boards, and setting links. Here you will find the tools and information you need to get that classic game restored. 9/29/12 Earthshaker moving building kits are Sold Out. Email me if you must have one. The Wobble Head kit to animate the Dalek on the Dr. Who pinball is still available but with limited stock so don't delay. 1/14/12 Once again, Earthshaker moving building kits are available to purchase. Likewise the Wobble Head kit to animate the Dalek on the Dr. Who pinball is available as well. Both are limited to available stock so don't delay. The early 1980's was a great time to be a kid. With the creation of a new entertainment machine called the "Video Game", the world would change for the better. Arcades all over the world popped up offering anyone with a quarter in his pocket, time to become the saver of a universe or the best racer of the Grand Prix. Best of all I was part of this movement and have now started to relive the glory days of yesteryear by starting my own collection of these quarter eating monsters. My collection has started out with my favorite machine, which is Crazy Climber. 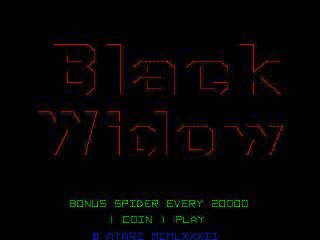 I have given it its own Web page as I could not find a page devoted to this classic game. On the Crazy Climber page you can relive the days when arcade game manufacturers emphasized game play over graphic quality. As you can see below, as my collection grows, so do new pages on the games collected with the newest pages saluting Space Dual and Ms. Pac Man. ENJOY! of all time. Includes sound & emulator page! Space Duel The second game in my arcade. Visit my Space Duel page! read up on what I did to restore of my Donkey Kong on the Donkey Kong page! Looking for the switch setting or even the full manual? Links are provided. Here is the new home of the Arcade Library. Here you will find books, manuals, pictures, and documents to stimulate your senses and educate you on the history of specific machines and arcade collection in general. The Manual area and Control Panel Overlay area or now located in here as well as the technical links. Enjoy.. The Arcade Library is open 24 hours a day! The Basement Arcade Restore Zone! Visit the back room and see what's in the repair shop. Lots of pictures of games I'm working on that will have pages when they are restored. I have a small collection items for sale. (Opens in a new window) Check out our new Chat room! This IRC chat relay will but you in touch with other collectors like YOU! Click here! JAVA required. This not really want I had planed for. What I wanted was streaming live video, But after a month of disappointments in testing and getting it all working.. I am settling for this.. JAVA required. Jeff Morris's Pac-Man Page. Excellent page! And we can't forget Q-Bert..This is another E-Glide page. The ultimate Space Invaders Shrine : The Classic Arcade Video game! Eric Clayberg's arcade.... A web page of pictures! 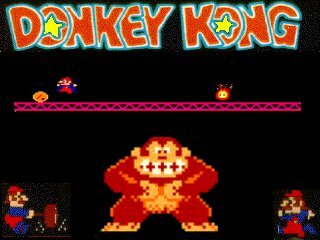 Crazy Kong Arcade Great pinouts list, Manuals, artwork and Tech area! The CVG Nexus has info. on collecting and maintaining, dealers manufacturers and more Recently updated! Jeff Kinder's site is named The Dragon's Lair Project. Visit my fellow N.J. collector's pages Jeff is the KING of laser disk games! The Dot Eaters offers some retrospect on the whole 80s picture. Including arcade machines! The sUpErDeFoRmEd Classic Video Games Page is loaded with Arcade, 2600, and other classic game and emulator links! Looking to play a game in your area but cant find it? Check out the Locations of Classic Video Games! Remember Sega's R360 arcade game flight simulator? Here is a preservation page on it! Over in Italy, ARCADE is loaded with dedicated pages, data sheets (to get you game fixed) a Multi-Vector machine and more! Arcade Restoration Workshop Now at a new address with a brand new look! Russ' Arcade Collecting Has moved!Page shows the restoration of a poor Donkey Kong. Keep up the good work Russ! 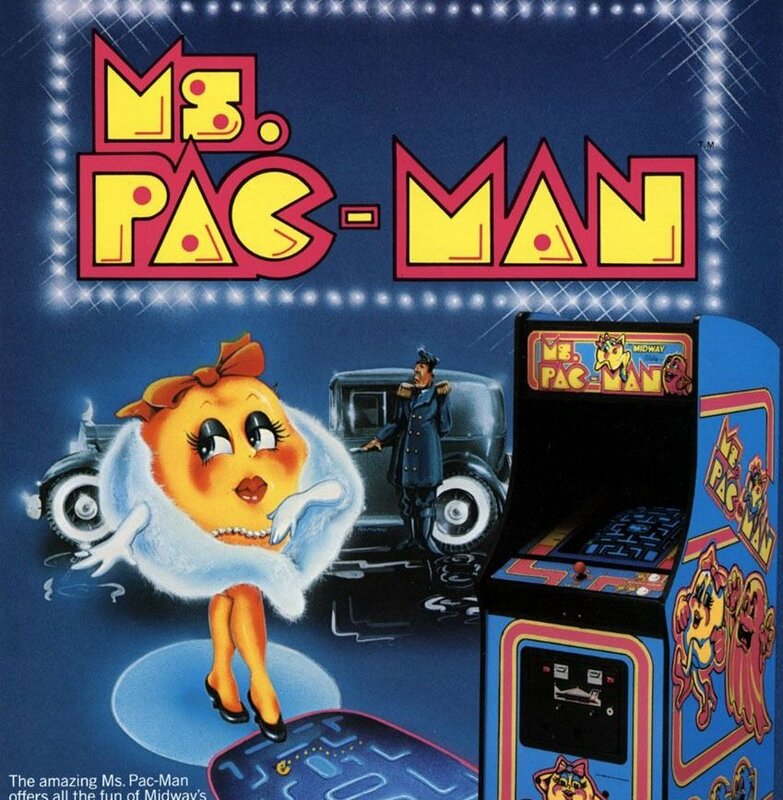 Peter Hirschberg - My Arcade You gota check out this guys gameroom pictures! Cool retro 80's art and a radio station to boot! Dedicated to the hobby of collecting video arcade games, visit arcadecollecting.com With an additional technical page I really enjoy here! The Broken Joystick..God.. I hope that pile of games isn't ALL broken.. Cool site, check it out! Dutchman 2000's GAME ZONE and up-and- coming site! M.A.R.S. (Mark's Arcade Retro Site) Stop by today! EAS - Eddie's Arcade Shack - Arcade games, Defender, Stargate, Sinistar, and more! Robert Spelman's Madoc's Arcade has information specific to that game's restoration. Auction info, tons of pictures.. Great page! Bonaparte's ArcadeZone has returned as Niobium's Arcade Zone. Stop by today! Yet another great resource page with too much to offer to list.ionpool.net and don't forget to see Pictures from the second annual trip to visit Callan Hendricks in Houston, Texas. Mikes arcade shop is HOT! With downloadable Operation Sheet, Instructions cards, Coin door inserts, as well as Technical Info! THE BEST! Blast from the past is now Modern games are rubbish! In interesting change! Roy Kaplan's Page has resurfaced. Chumblepuzz and his collection are not to be missed! New here is a different kind of site!Yllabian Space Guppy's Bizarre Arcade Game Archive reviews the strangest games to grace the arcades! JAMMAJUP coinop videogame collector/enthusiast site. Steve has quite a few boards in his collection! Do you have ARCADE FEVER? This site has it all, Sticker, photos, flyers, sounds, a MUST SEE site! Another full featured site is Dave's Arcade filled with auction info restoration projects and more! Some friends in the UK have started gamesroom-online.co.uk Lots of info, and data here! After a (very) brief absence, Game Room Classifieds now has a new owner and continues its excellent game services! Game Mover came across another heap of abandon games. Read the story on his sight. Shoot Again Pinball specializes in providing home repair service for all makes and models of pinball machines made since 1977. They offer a full range of restore services and come with the Basement Arcades 5 star rating! Pinball zone! I don't know where to start.. There is SO much info here it will take you months to go through it all! Mr. Pinball Classifieds! Trade, sell, find PARTS!!! Pinball HQ is the FIRST place to stop when fixing a machine! The Pinball Wizards Convention is a yearly pin show in PA. Don't miss the next one this March! Great Plains Electronics A great Electronic store of pinball parts! Steve Young's Pinball Resource The Gottlieb resource! Arcade shopper - your arcade game and pinball locate and procurement service. Selling mainly full games Scott Wise has set up RetroCade, a site to buy and sell pins and vids. Another board repair site is Alex Yeckley's Elektron Forge Video Game Repair. I haven't used them yet, but with the amount of broken stuff I have I'm sure I will!Located in North Canton, Ohio Lizard Lick Amusements in Raleigh, NC has very good prices on new pins and vids! 8liners in Miami, Florida offers, chips, boards, machines.. WOW! David Countryman's home page has boards, manuals, Arcade Stand ups Video Game Monitors Arcade Game Control Panels and more! 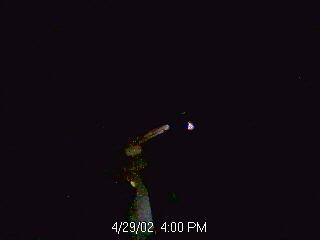 Looking for a hard to find IC or component? Arcade Chips will most likely have it Jeffs Pac Man page offers THE link area to all the Pac-man books out there! Awesome! Another Art Reproduction Site! The Basement Arcade gives Phoenix Arcade 2 thumbs up! Looking for new art work for your game restoration? Arcade Renovations use to be the place to go till they merged with Quarter Arcade! Here you will find affordable reproductions of arcade game artwork which is almost impossible to find in original condition. Top recommendations of the Basement Arcade! The Happ Controls offers joysticks, Coin Controls, Driving wheels and more 50th State Coin-Op We sell / service video games, pinball's, redemption equipment, pool tables,darts, fooseball, juke boxes, parts, light bulbs, etc. Two Bit Score Amusements If you own a Ms Pac Man or a Pac Man.. This is THE place to shop! Rec Room Amusements. Prices seem high but is still a good site. THE PENNSYLVANIA GAMEROOM WAREHOUSE!!! Video Connection in DIXON, CA......Conversion Kits, Joysticks, Coin boxes & more! Looking for another place to have Pinball board work done? Check out www.repairconnection.com Great Western Trading wants you to moment to examine or extensive list of game p.c. boards and complete arcade games. Fabulous Fantasies is mainly a pinball site but does offer some vids TNT Amusements in Southampton, PA . A wonderfully colorful site that sells full machines. Eldorado Games If you cant find a board, George has it here TNG Sales & Service has games, kits, Control Panel Overlays, Marquees and more! John's Jukes Ltd. runs Flippers.com. Check out the great line of repair and test equipment! Joystix Amusements has been serving Houston and surrounding areas since 1987 Offering video games, pool tables, pinballs, compact disc jukeboxes and other coin operated devices for home and business. The Arcade Warehouse web site.We specialize in supplying rare arcade machines for the home and office A UK site but has boards and parts too! Alpha-Omega Amusements, Inc. in East Brunswick, New Jersey offers reconditioned redemption, video, pinball, and novelty equipment including PC boards and accessories. as well as all major brands of token and ticket counters, coin acceptors, and debit card systems. Arcadeclassifieds.com is a great place to look if starting a collection!